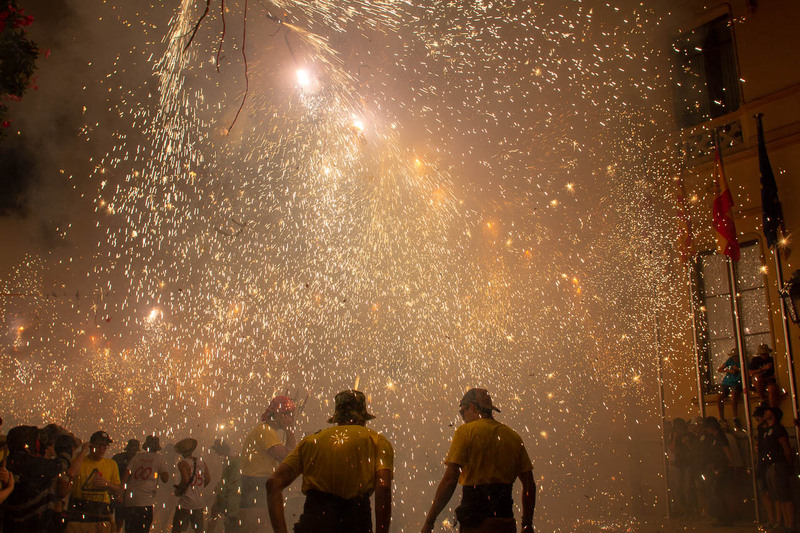 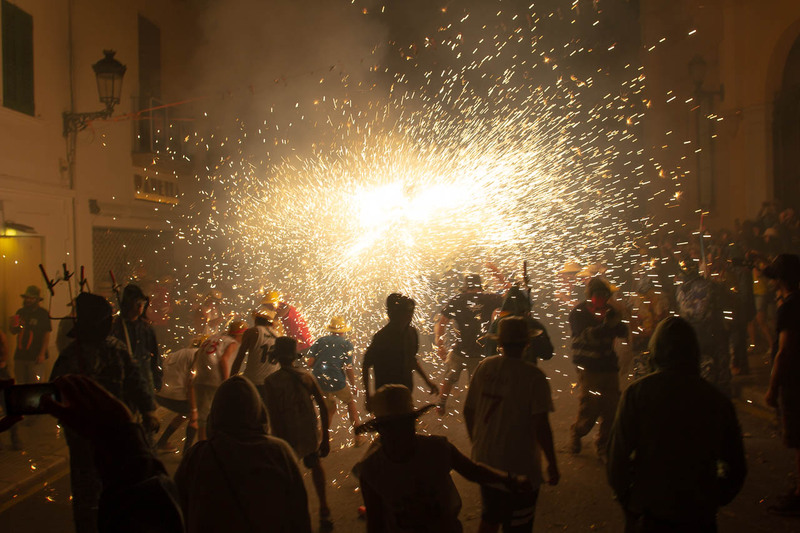 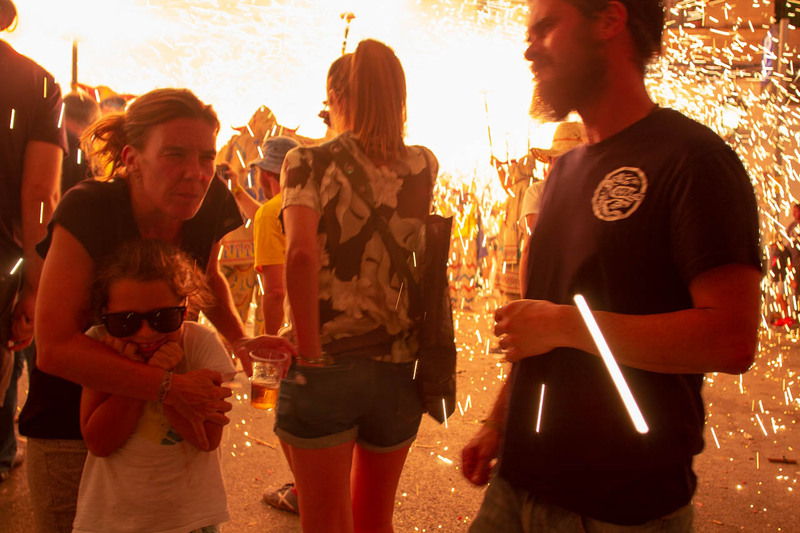 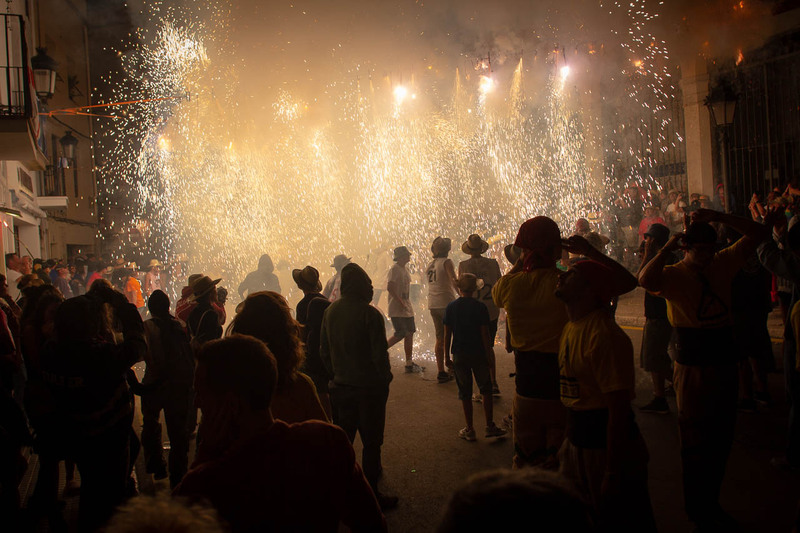 I’ve just returned from a trip to France and Spain, and while there I caught the fantastic Nit de Foc, or Night of Fire, in Sitges, a town just along the coast from Barcelona. 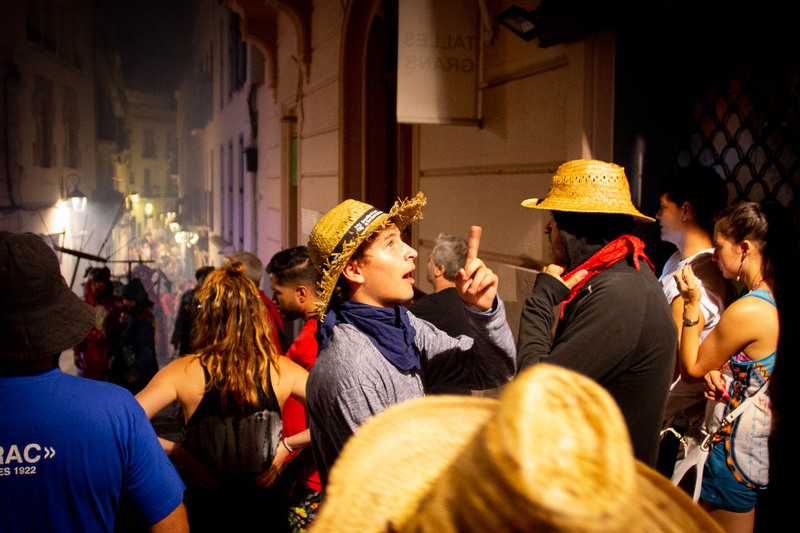 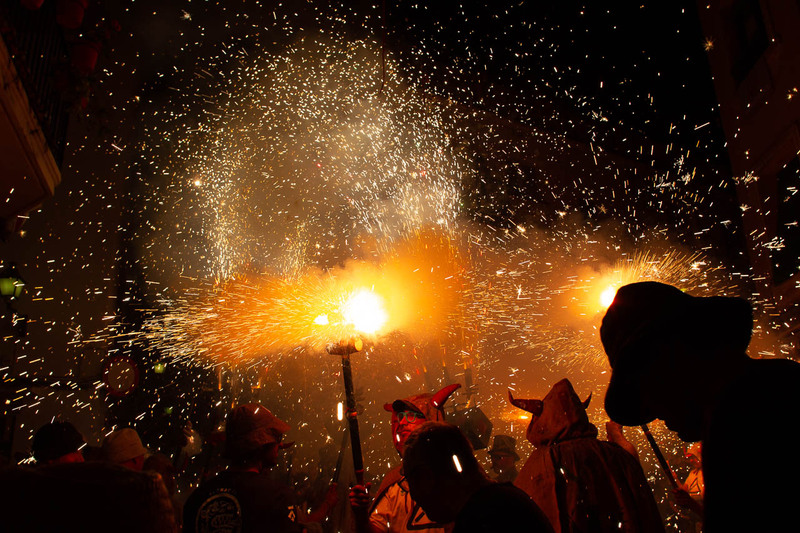 The night is the warm-up (if you’ll pardon the pun) for the Santa Tecla festival which happens the following weekend. 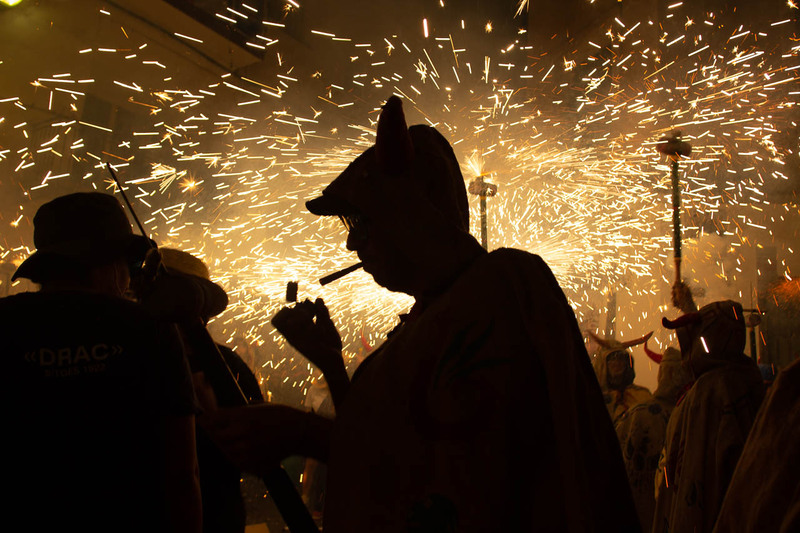 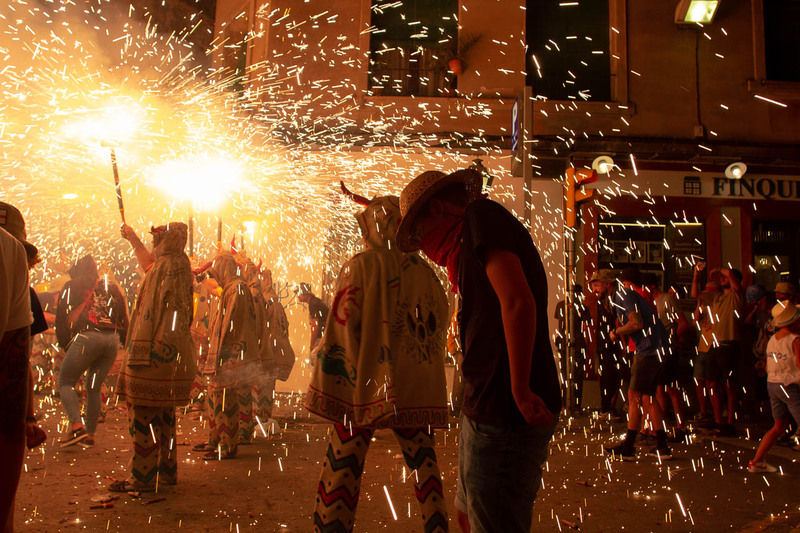 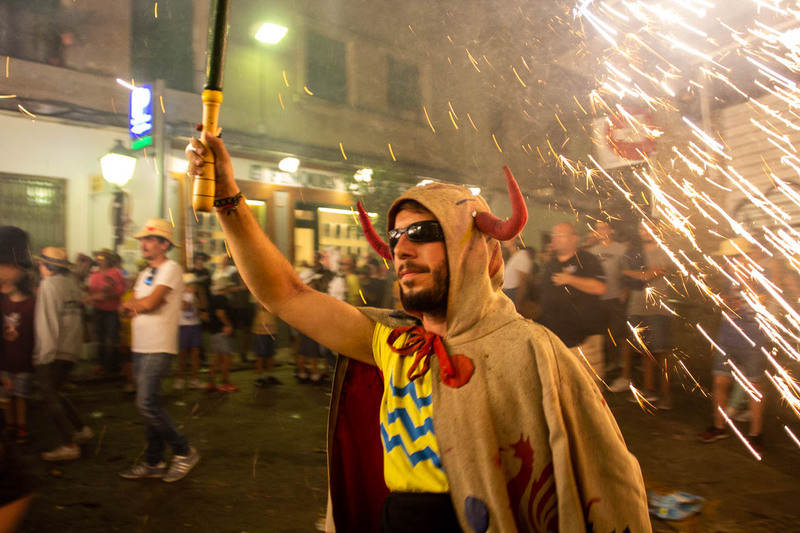 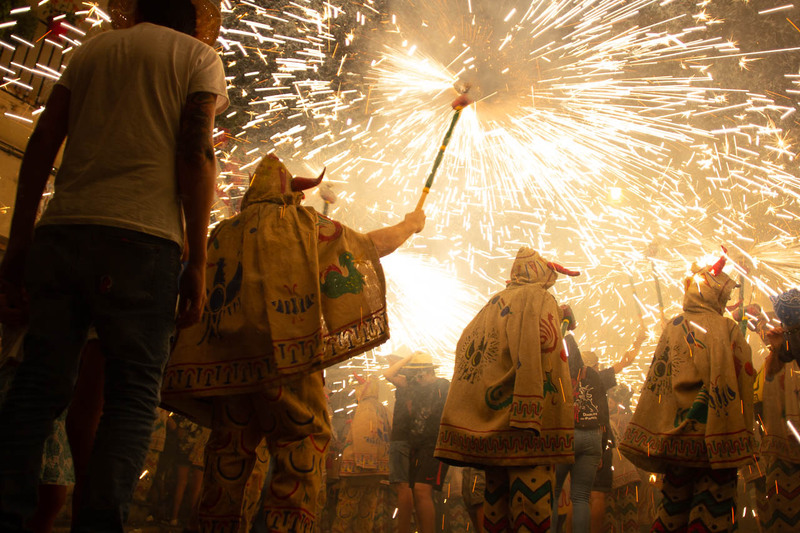 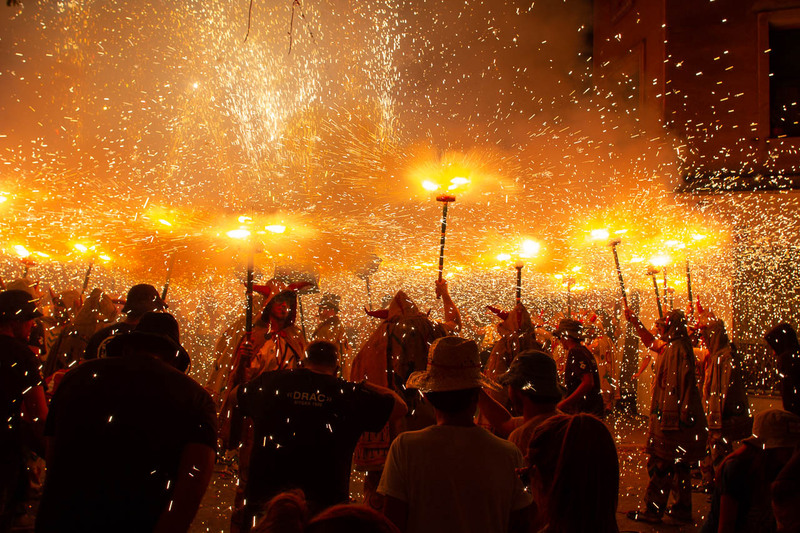 It’s a bonkers evening which features teams of locals from Sitges and neighbouring towns, dressed as devils and fire-beasts, wielding drums and catherine wheels mounted on spikes and pitchforks. 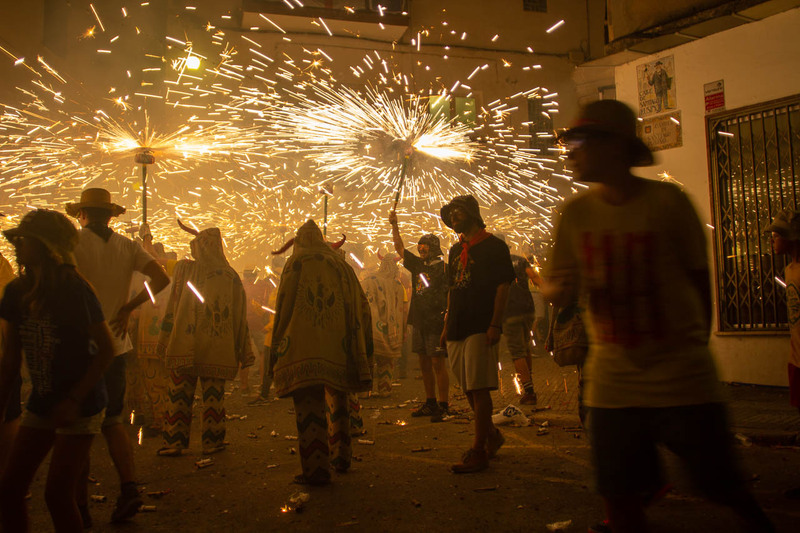 The parade winds through the town, with the drummers setting up a thumping tribal beat which echos off the walls of the narrow white-washed lanes. 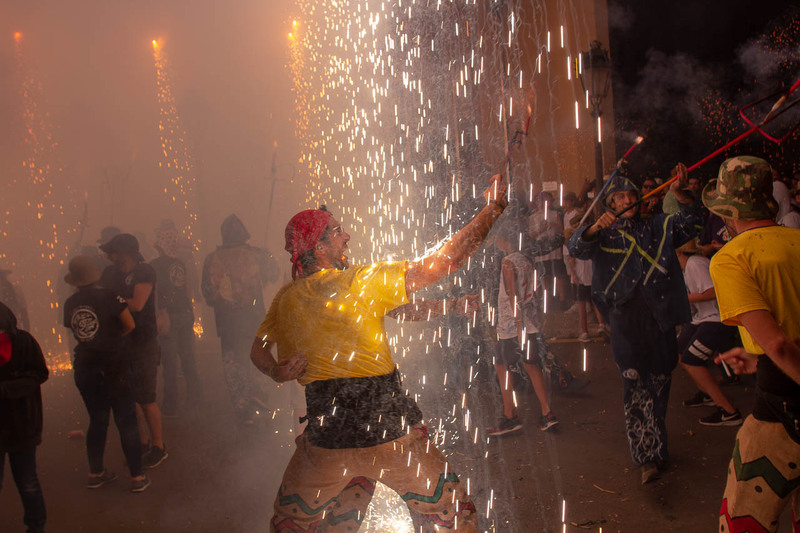 Ribbons of bangers and fireworks, strung just above head height, are set off at the same time – they create a cacophony of bangs and booms, as well as stunning cascades of sparks, which the braver revellers dance in and out of. 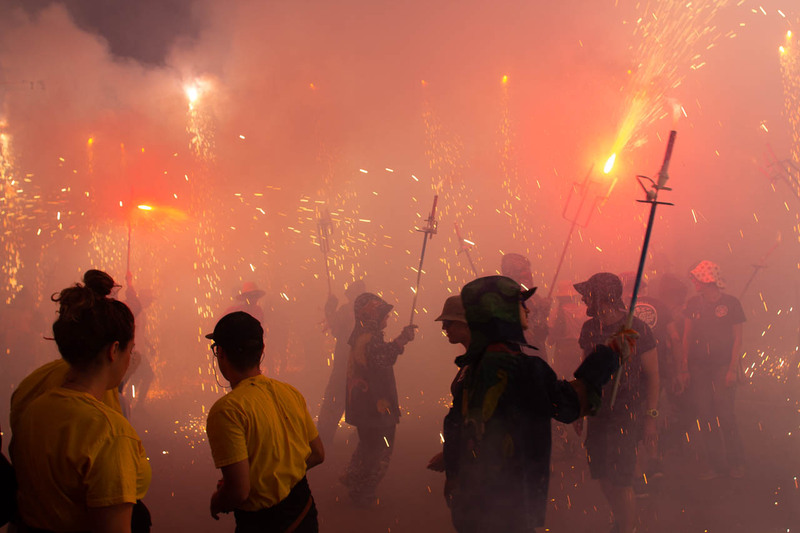 At the same time the paraders set off multiple catherine wheels, covering the revellers in whistling showers of yet more sparks. 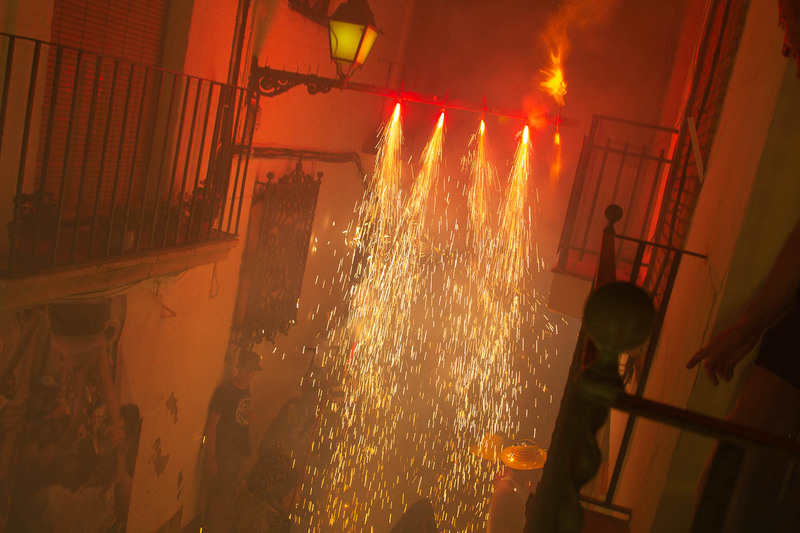 Here are my pictures from the night.